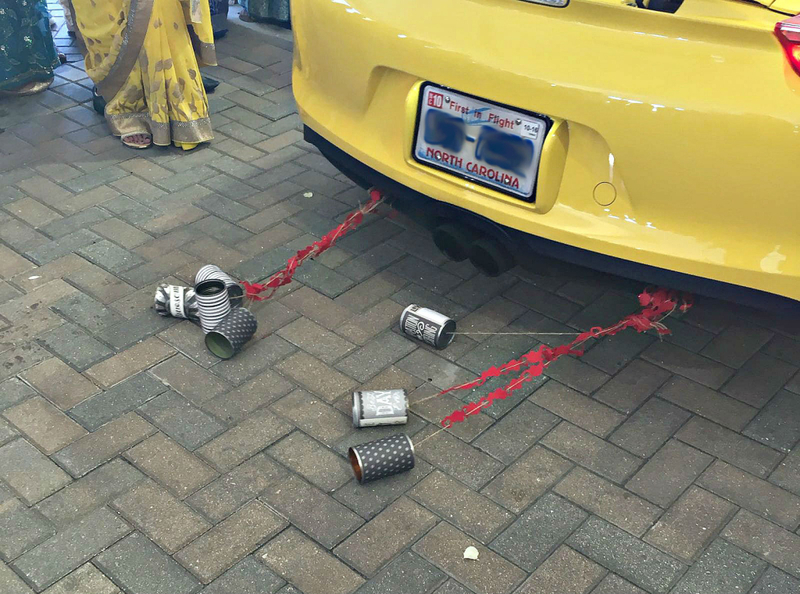 Reena loved the thought of the tin cans celebrating behind them as they drove off after the wedding. She wanted the cans to relay messages that were true to her heart. Some of the cans relayed the journey of getting to the big day, while some were sentimental for the day of. Sheena started collecting regular bean cans over a couple of weeks enlisting her gym buddies to help bring in any they had laying around. She peeled the paper off them and washed them through. She purchased a paper pad from Micheals that had all the says in them that she knew Reena and Rajan could relate too. She cut the papers in long strips as wide and long as the specific can, making sure the sayings were within the cut lines. 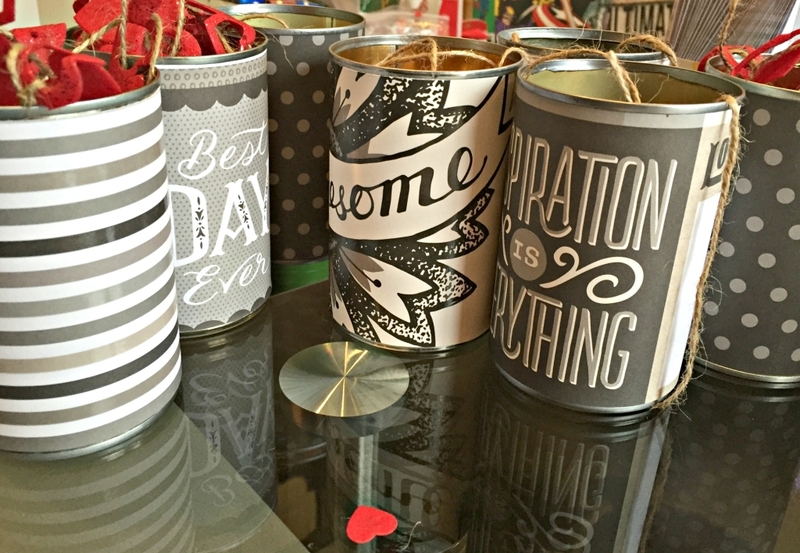 Using double sided tape, she taped the papers all the way around the cans. On the bottom of the can, she used a nail and hammer and created a small hold to string though the jute string and tied a knot on the inside. She left a 6ft string to leave enough room for adjustments. As a little last minute add on, she bought heart shaped garlands (similar here) from Micheals (there were a ton only because it was right around Valentines Day) to add to a few of the cans. It added the little pop she wanted! 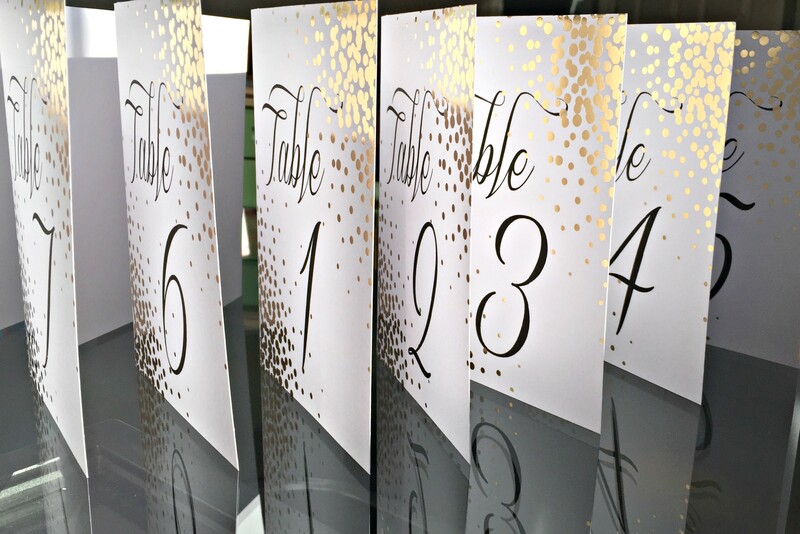 Reena wanted simple table card numbers for her wedding reception. 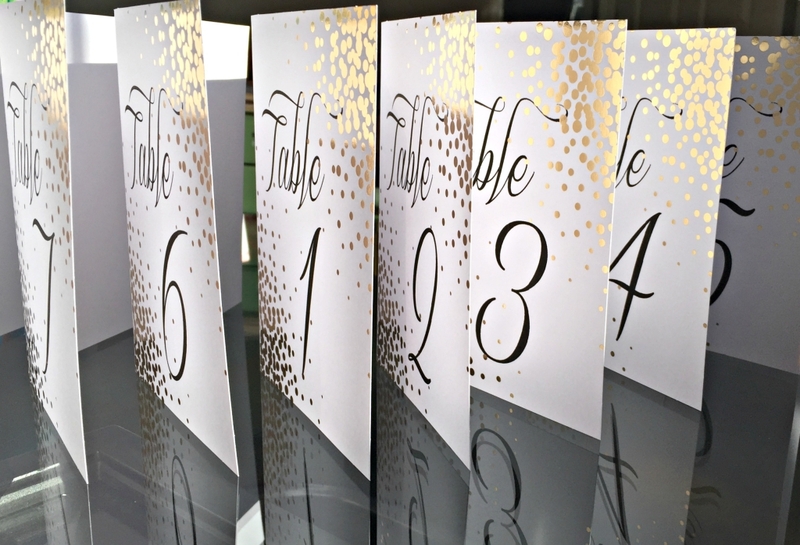 For these super sparkly table cards, Sheena got an assortment of blank note cards at Michaels and bought the necessary number of packs. She downloaded and used the font Sverige Script. She printed different sizes and layouts on plain paper until the sizing was perfect. 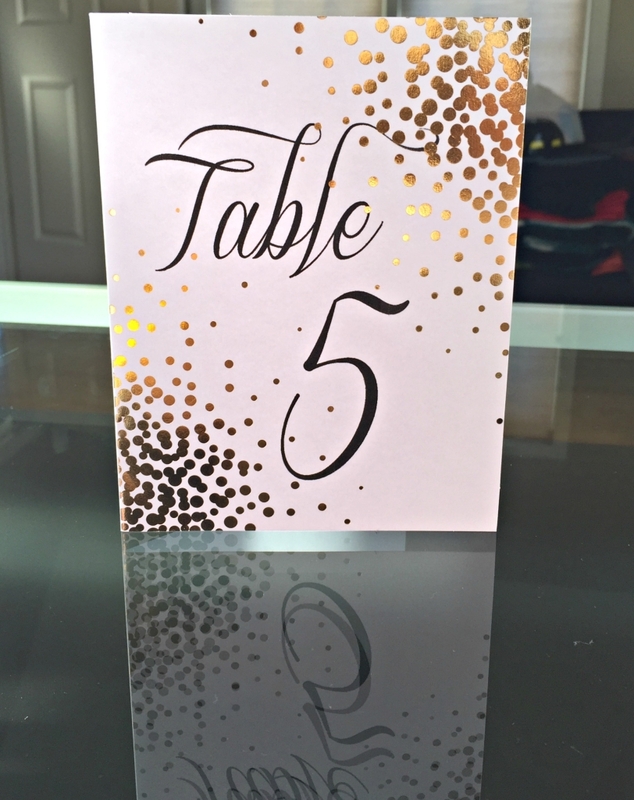 Lastly, she ran the cards through her printer and easy enough was a super cute, sparkly, custom table number sign that fit the occasion beautifully.